In the preparation of bitumen emulsion of small amounts of a chemical compound to facilitate cell formation bitumen and it is added to the permanent suspension called emulsification in the preparation of each emulsion principle should be used, otherwise upon termination of affairs emulsification immediately contiguous cells and form a continuous phase and hence the formation of a continuous phase of emulsification.However, in the presence of a thin film of chemical composition as emulsifier mixture is added to the cells is called bitumen, the thin film acts as a protective coating and prevents the cells from joining. Emulsification can be divided into four categories, the first and second are of greatest importance. With viscosities in the range 0.5–10 Poise at 60°C, bitumen emulsion is of considerably lower viscosity than bitumen itself (100–4,000 Poise), allowing it to be used at lower temperature. Low-temperature techniques for construction and maintenance reduce emissions, reduce energy consumption, avoid oxidation of the bitumen, and are less hazardous than techniques using hot bitumen. They are also more economical and environmentally friendly than cold techniques using cut back bitumen. The environmental benefit of bitumen emulsion is particularly positive when used for in-place or on-site techniques which avoid the energy usage and emissions associated with heating, drying, and haulage of aggregate. The construction of a roadway with cold techniques has been calculated to consume approximately half the energy of one of similar bearing capacity made with hot-mix bitumen. An environmental impact analysis (EIA) technique called “eco-efficiency” has been applied to emulsion maintenance techniques (micro surfacing and chip seal) and it was concluded that the emulsion system had less environmental impact than a thin hot-mix overlay. Modern industry started 1712's bitumen can be attributed to the stones were discovered bitumen in France. Tarry material is then simple to form lumps were broadcast on the local roads. This technique was quite successful and work in progress in a short time, as a powder and heating the material before use respectively. Bitumen emulsion is a solution of bitumen in water by emulsification is stable and tar in the water is prevented from settling. The bitumen emulsion was recorded in 1922 by Hugh Allan Mackie. Penetration testing : penetration grade bitumen is used for determination. In this test a standard needle under 100 grams in 5 seconds to pitch inside temperature is 25 degrees influence. The amount of influence in terms of tenths of a millimeter penetration is called. The degree of influence is less difficult pitch. 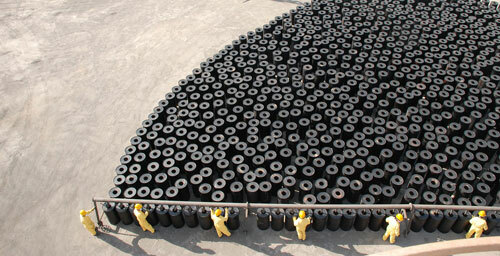 Bitumen extracted from oil or ore, special, pure bitumen, which, according to Genesis, is classified. Pure bitumen as well as the desired properties for various applications to find that they fall under other processes and different types of bitumen (including blown , tar solution, bitumen, pitch, roll, etc.) form. Bitumen is the black tar substance and paste the moisture in insulation and construction of asphalt used. Tar varieties, each of which has a specific application. Bitumen from oil derivatives are often produced in oil refineries. 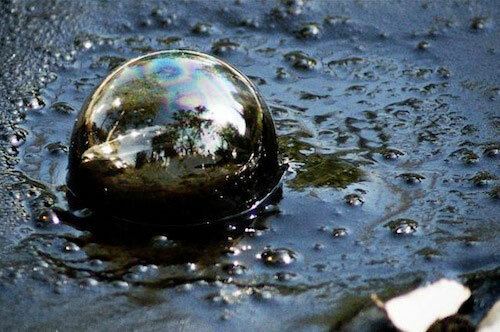 Hydrocarbon is pitch black to dark brown body that carbon, sulfur and carbon tetrachloride completely dissolved. Bitumen is a solid at room temperature. But with increasing temperature, liquid state and then it becomes a paste. The use of bitumen important because of two important properties of this material is impervious to water and being sticky.